One of the ugliest jerseys of the league, were the Hawks. I swear I would fall asleep watching Hawks games. The look was just too plain, I wasn't feeling it. Other people felt that way as well. Today that all changed. 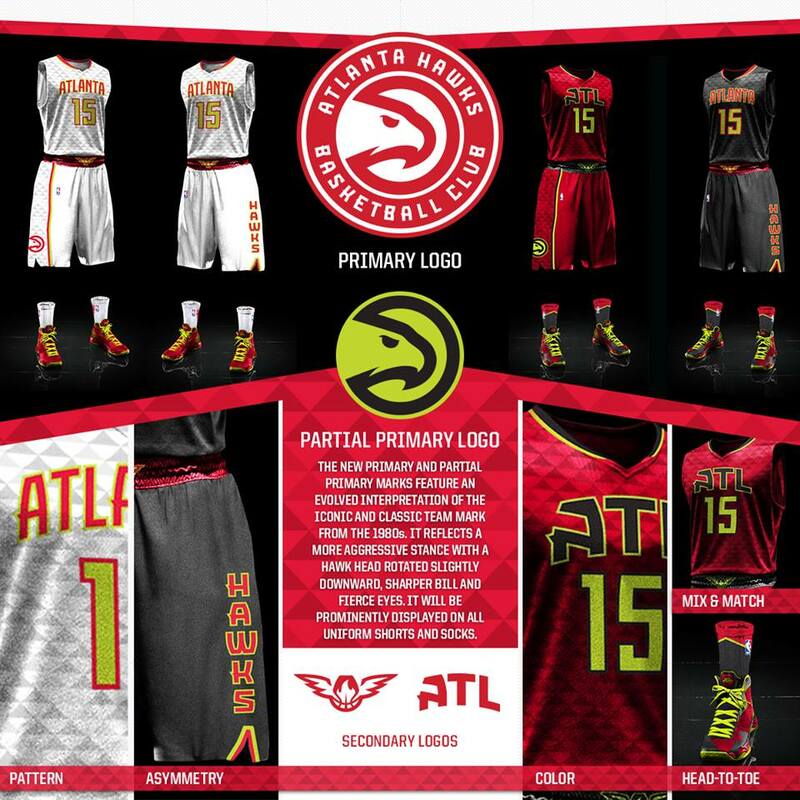 The Hawks now have a new look and it's BADASS. I am feeling this look so much. From head to toe it's fire. I will be buying some of the shorts to run the courts in. The socks too. Nice, Hawks nice. You can watch the video for the new look here. They can sell it better then me. I'm too hype to type.